The Door Industry Journal: Fire and Security Doors, Doorsets and Shutters - What Should You Be Looking For? Fire and Security Doors, Doorsets and Shutters - What Should You Be Looking For? How can you be sure that the product you are specifying or installing will perform as required in the event of a fire or an attempted break-in? One way for specifiers to reduce their risks, to save time and to avoid costly mistakes is to select products and services which have been approved by an independent certification body such as LPCB. The first line of security protection on a building is the outer façade which includes doors, shutters and grilles. Appropriate physical security will protect a building from the unwanted attentions of both the opportunist and experienced criminal/burglar. When selecting a security door, shutter or grille it is important to note aspects such as the size, locking system, modes and directions of openings and the type of glazing incorporated within the product or system. For many years LPCB has been working with insurers, government, police and end users to develop a system of classifying the resistance of façade elements to forced entry. The result of this work is a standard (LPS 1175 test programme and associated assessments) that address these aspects and in today’s environment is becoming a core element of specifications for new buildings and target hardening of existing sites. 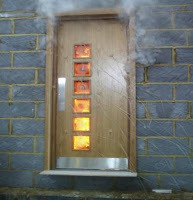 The main function of fire doors in the passive fire protection of buildings is to maintain fire separation. They are installed in compartment walls, shafts or service ducts and provide protected routes for means of escape. In addition to careful design and product selection, it is recommended that fire doors and shutters are installed and maintained by third party approved contractors who have demonstrated their competence. 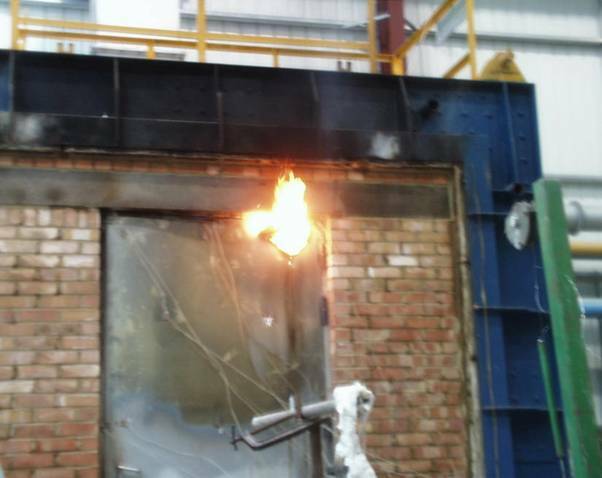 LPS 1056 is based upon BS476: Part 20 and not only looks at the fire integrity of the product and its door/shutter furniture, but also calls up cyclic testing and impact testing and deals in detail with assessment procedures for outsized doors/shutters that cannot be fire tested. The specification and installation of building products and systems that provide passive fire protection is a fundamental aspect of fire safety. 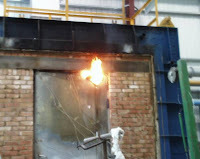 It has long been recognised that the performance of a product can be severely undermined by poor installation or application leading to failure in the event of a fire. Therefore, the effectiveness of a door is dependent upon regular inspection and servicing in accordance with the manufacturer’s recommendations. 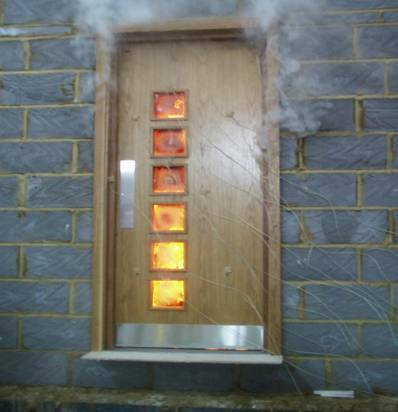 LPCB offer several installer schemes relating to fire doors and door sets, fire shutters and fire curtains. Approval (or certification as it is also known) is a process by an independent third party such as LPCB that helps to confirm that the product, system or service meets and continues to meet the appropriate standard. Approval, through regular Factory Production Control (FPC) audits, ensures that the product continues to comply with the standard and meet the specification. Once we are satisfied that a product, service or company meets the necessary standards, we issue a certificate and list them in the ‘Red Book’.